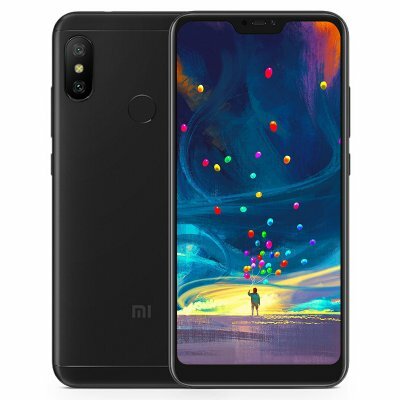 Successfully Added Xiaomi Redmi 6 Pro Android Phone - 5.84 Inch 19:9 FHD Screen, 64GB ROM, Octa Core, Dual Camera, Finger Print, 4G (Black) to your Shopping Cart. The Xiaomi Redmi 6 Pro mobile features a 5.84inch display with a screen resolution of 1080 x 2280 pixels and runs on Android v8.1 (Oreo) operating system. The device is powered by Octa core, 2 GHz processor. As far as the battery is concerned it has 4000 mAh. Over that, as far as the rear camera is concerned this mobile has a 12 MP camera. Other sensors include Light sensor, Proximity sensor, Accelerometer. And it has a fingerprint sensor and has got an Adreno 506 GPU. The expand memory up to 256 GB..